Check out Tobi's Dials Booties Step up your boot game with the Sol Sana Dials Booties. 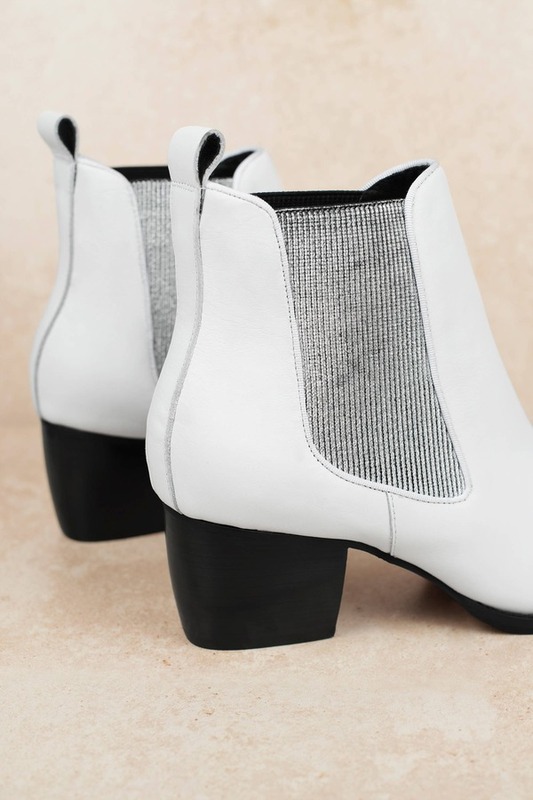 These White pointed toe chelsea boots will look absolutely perfect with a distressed pair of jeans and a relaxed tee. Take these comfortable heeled booties out for a walk and let the compliments roll in! 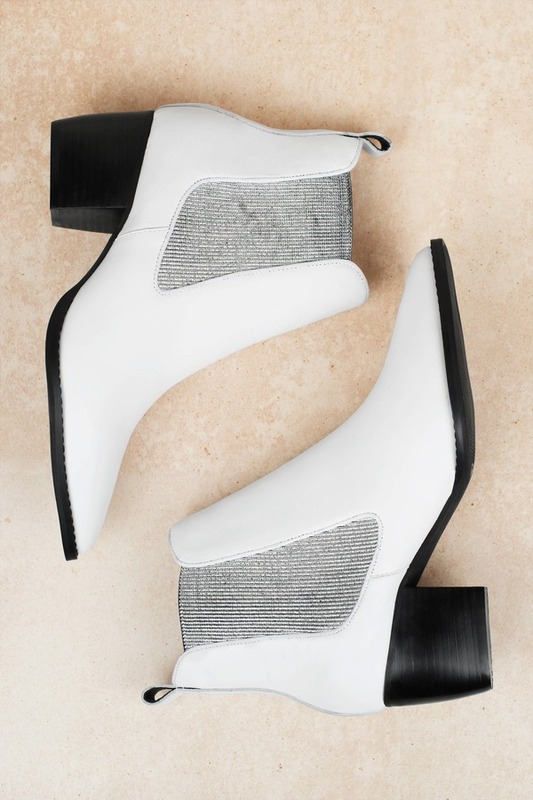 Step up your boot game with the Sol Sana Dials Booties. 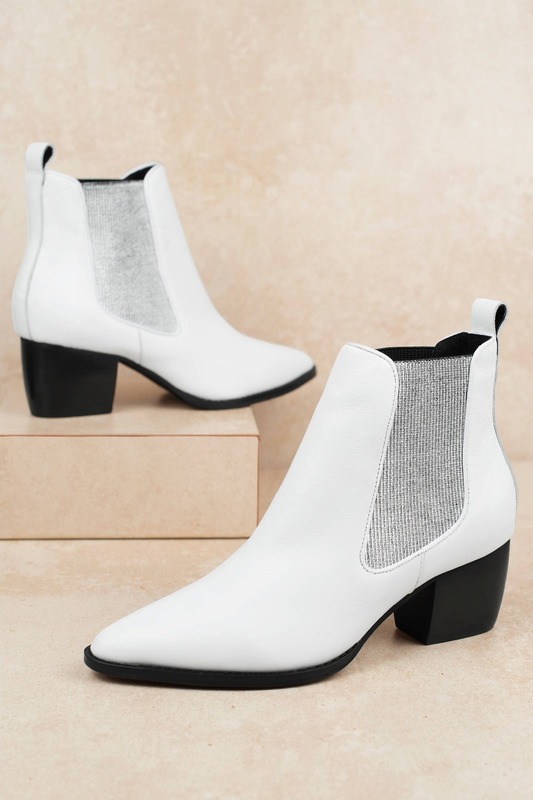 These White pointed toe chelsea boots will look absolutely perfect with a distressed pair of jeans and a relaxed tee. 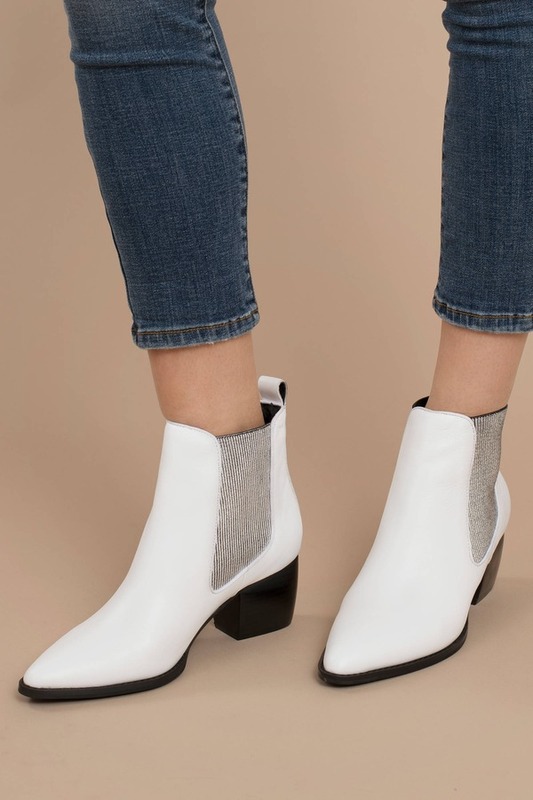 Take these comfortable heeled booties out for a walk and let the compliments roll in!